The technique for producing medical stitches (sutures) hasn’t changed significantly in over 5,000 years – until now. As medical stitching relies on the ability, dexterity, training and alertness of the practitioner, it can understandably be problematic. However through the creation of two revolutionary automated stitching devices, Sutrue have solved this issue. With our devices the process is far simpler, quicker and more accurate as the margin for human error is reduced. There have been have been over 10,000 patent attempts to produce a device like this and that Sutrue is the first to successfully achieve it. Therefore we thought it was about time we celebrated and shared this news. As our handheld device is exhibited in The Design Museum, Kensington, it was only fitting for us to host our press event there too. We wanted to give attendees the once in a lifetime opportunity to try out the creation of automated stitches, so we took along the Zeus Medical Robot that we’ve been testing the Robotic device on, in addition to Bob the dummy which the handheld device was used on. 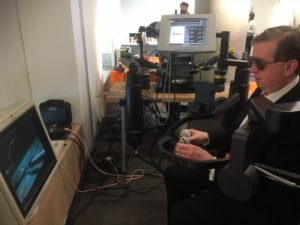 Below are some pictures of the press trying out these devices. We were pleased to have a range of press attend including those from the medical trade, the 3D printing industry and even the Financial Times. Due to the nature of our devices, there were several news angles that were of interest to our attendees. 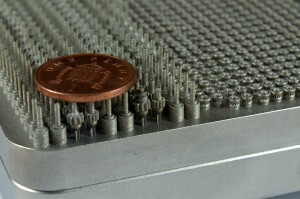 These included the millions per year that the Sutrue mechanism could save the NHS, how the robotic device could reduce the number of open operations required, the 10,000 previous patent attempts submitted by other inventors/companies before Sutrue succeeded in obtaining a patent and the use of rapid prototyping in the creation of the devices. (Quotes from each thought leader can be obtained here). 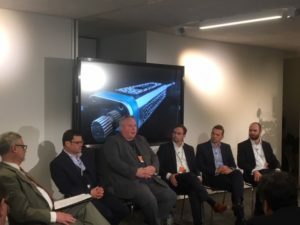 For soundbites from our thought provoking panel discussions and Q&A, or for footage of our devices being used, please follow us on Twitter or LinkedIn. 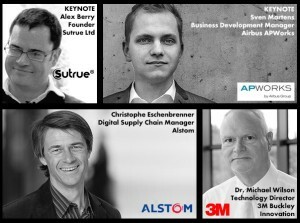 Sutrue went back to TCT this year, but this time with a bit of a difference. 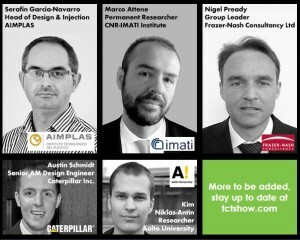 Neither Alex Berry or Mr Richard Trimlett were talking at the event, instead, Sutrue was on the shortlist for the Healthcare Application Category of the TCT Awards. We were up against a list of very prestigious contenders and were pleased to be awarded a highly commended certificate for the Sutrue Robotic device. Some will remember June 2016 for England’s European championship exit to Iceland, others will point to the UK’s vote to exit the European Union but for the Sutrue team, we will look back on June 2016 as one of the most significant months in our history for different reasons. Early June was undoubtedly a preparation phase, hours of design, assembly and planning for events. Events which were very different but equally important; Cannes Festival and Hamlyn Symposium. 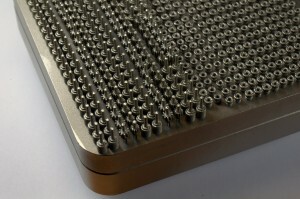 Once again we have to give a huge mention to ES Technology who have once again delivered a full build of metal sintered parts, (gears, rollers and other parts) which has allowed us to move the Handheld and Endoscopic devices forward in terms of needle grip, control and rotation speed… thanks guys. 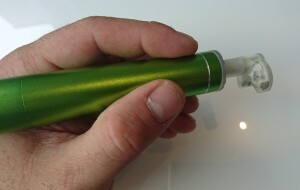 In the days prior to Cannes and Hamlyn we also gave the Handheld devices a new look handle and have updated many of the electronic components to improve the power, motorization, indexing and in future Bluetooth connectivity. The second half of June saw us take part in the Cannes Lions Healthcare Festival. Exhibiting alongside such names as Google, IBM, Twitter, Validic, Annalect and iVenturesHealth As the only Medical device company, we were really pleased with the level of interest we received from Medtech and Media companies alike. Also a big thank you to Mr Trimlett who made the long journey to assist. The Hamlyn Symposium at the Royal Geographical Society, London, Alex was asked to speak on the subject of “Suturing during Robotic Surgery”. This talk, again in partnership with Mr Trimlett was very well received and led to several interested parties joining us afterwards for more specific discussions about our devices. We are putting together some more images and video’s which will show the new style devices and some live testing…call back soon for an update. 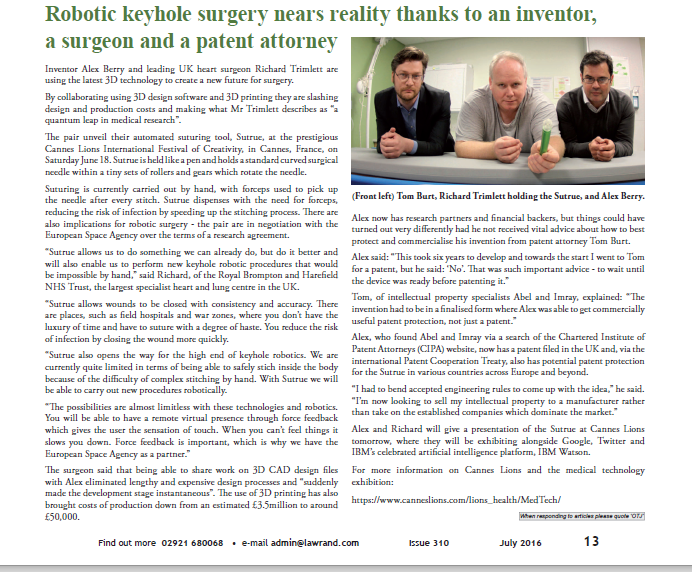 June 2016 has been a really busy month, we’ve exhibited on an international stage and been very well received, we’ve presented to international audiences on the future of surgery and have made significant strides towards the completion of the devices. 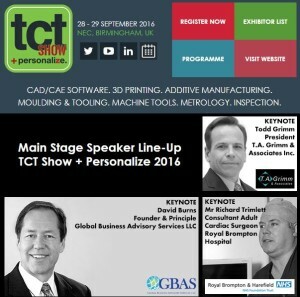 Once again Alex Berry, will take to the stage at TCT, the UK’s premier 3D printing and additive manufacturing event. This year Alex will be joined by Mr Richard Trimlett, Consultant Adult Cardiac Surgeon, from the Royal Brompton Hospital, to present “From Theory to Theatre using Additive Manufacturing”. 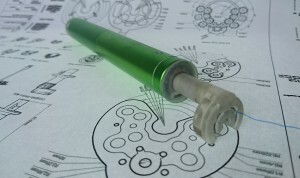 How medical devices can be developed using a range of 3D printing technologies. Alex and Mr Trimlett will be first on stage so make sure you get there nice and early.